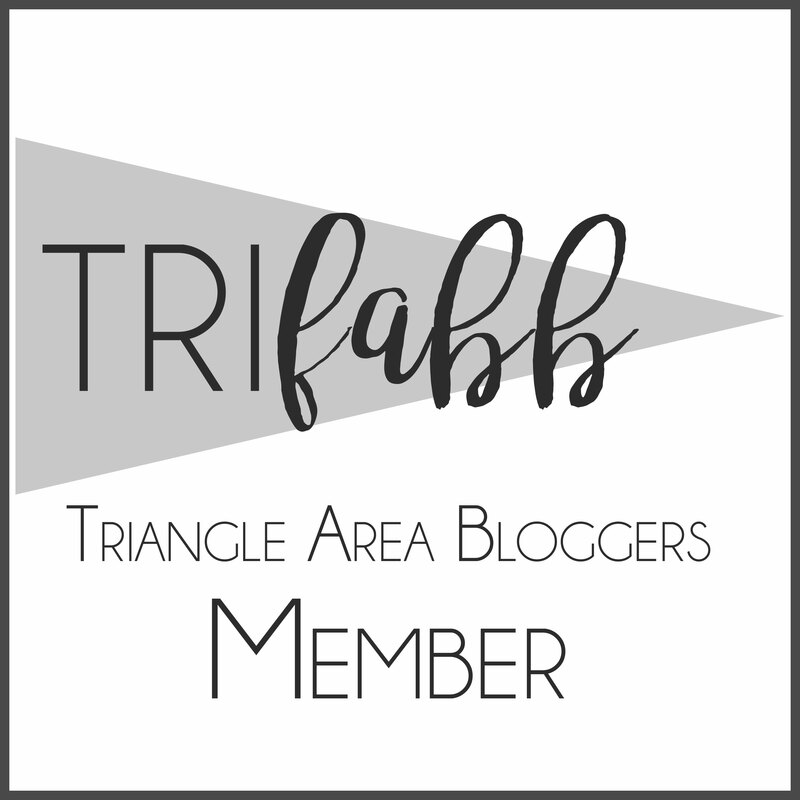 A girlfriend’s weekend getaway to the Yadkin Valley wine region in North Carolina was quite a wonderful and educational experience for me. I learned three very important things in my two-day journey. 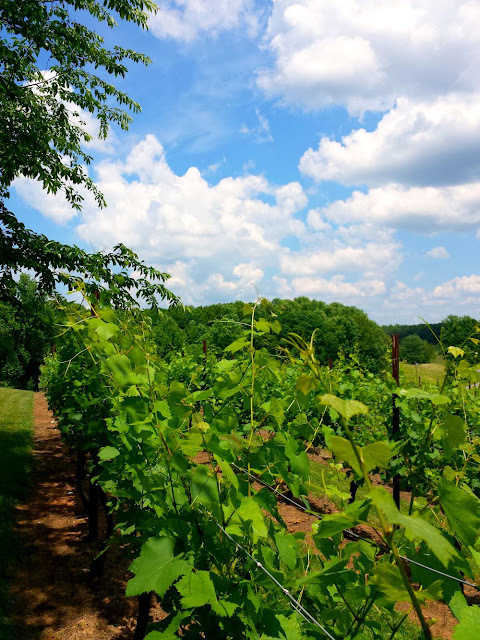 North Carolina is the only place in the world that grows every type of grape, and the Yadkin Valley wine region is a federally recognized American Viticultural Area (AVA). The establishment of viticultural areas allows vintners to describe more accurately the origin of their wines to consumers and helps consumers to identify wines they may purchase. 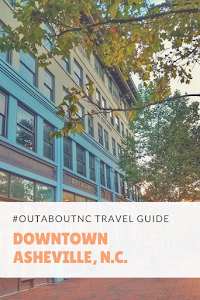 In this region of N.C., you are going to find the European-style vinifera grapes, which include Cabernet Sauvignon, Cabernet Franc, Merlot, Syrah, Chardonnay, and Viognier. I discovered that Yadkin Valley wines are really good. I mean really good, and can easily compete with some of the best wines in California, Oregon, and Washington. 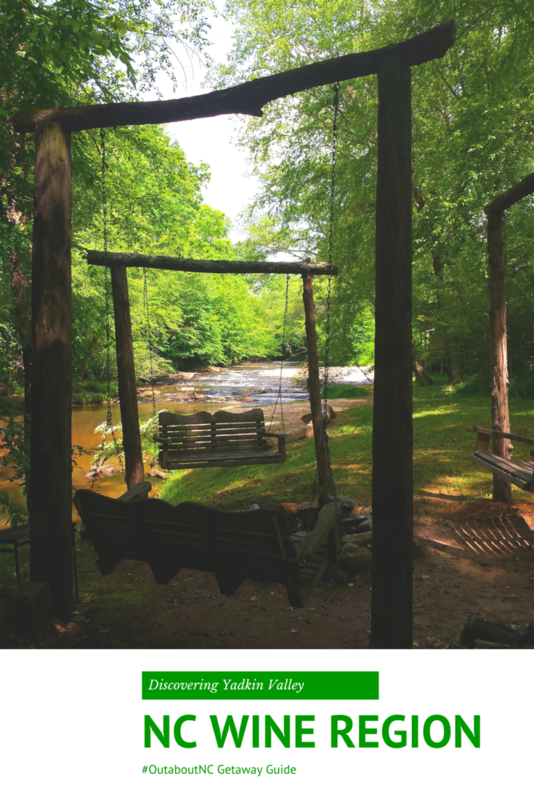 This area of North Carolina makes a fabulous getaway for friends, couples, and even families. I concentrated totally on visiting wineries in this region, but there are a lot of outdoor adventures that you can tie in with winery visits, too. 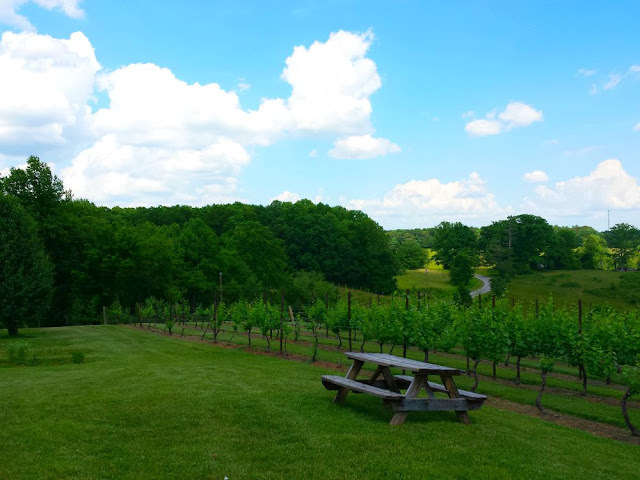 In less than 48 hours, we visited six wineries in Yadkin Valley. 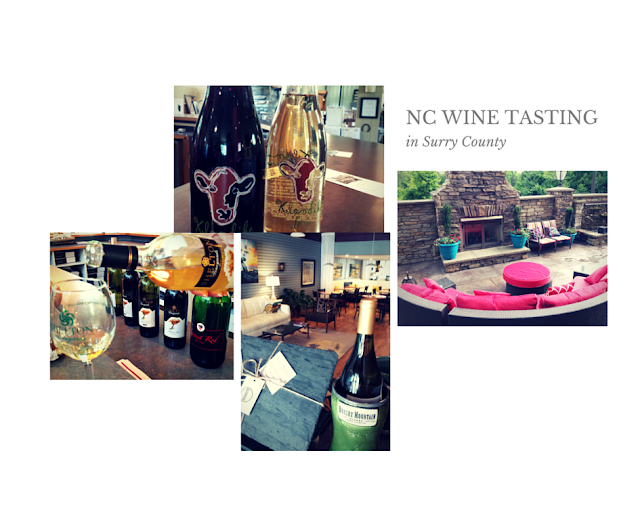 If you are just joining us in this series, you may want to start with part one of our NC wine series where we checked into our hotel and later explored Brushy Mountain Winery, a charming urban winery in downtown Elkin. 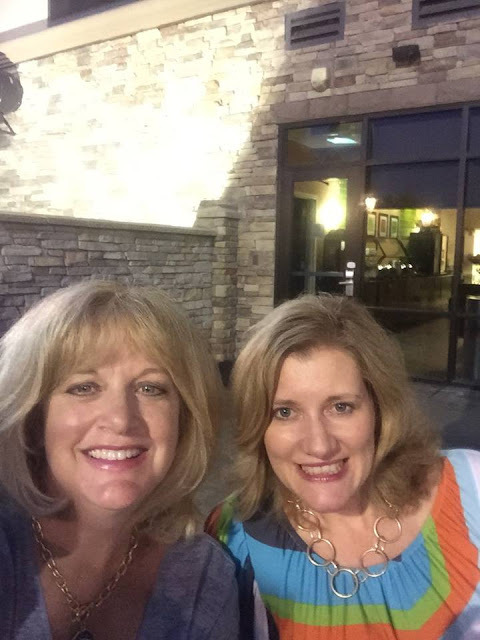 On day two of our new wine journey, we were treated like queens and were picked up by Parkway Tours to begin our wine adventure in Surry County. We explored Shelton Vineyards and Grassy Creek Vineyard and Winery. As Billy drove us approximately 9 miles from Grassy Creek Vineyard to McRitchie Winery and Ciderworks in Thurmond, N.C., we could see a landscape change. It became hilly. 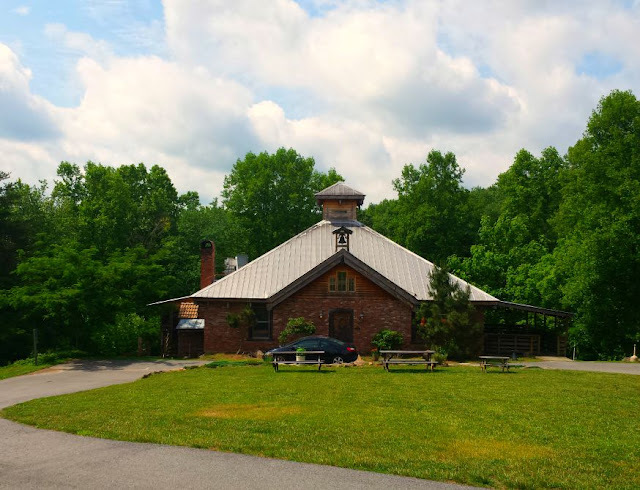 McRitchie Winery and Ciderworks sits on 30 acres in the Blue Ridge mountain foothills. The tasting room, which I would describe as very Sonoma chic with large, picture windows and a front porch with a few rocking chairs, overlooks the vineyards. Immediately, you feel as if this is a place where you would like to hang out for a while, and forget that you had any care in the world. It’s tranquil, casual, but yet, you get the impression that the wine here exudes sophistication and class. 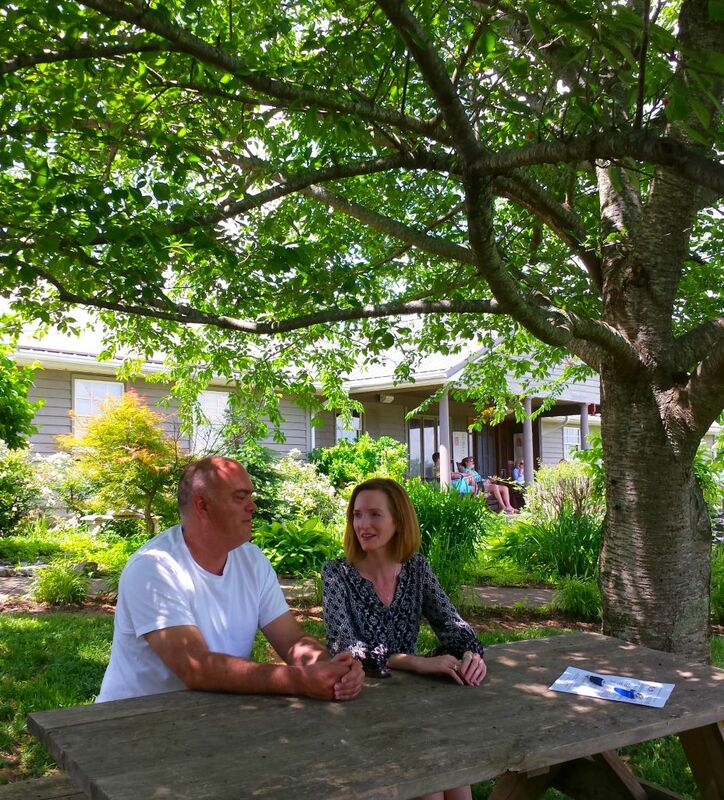 Owners, Sean and Patricia McRitchie, are living their dream of establishing their own winery after many years of working in the wine industry. They held top management positions at other prestigious wineries prior to Sean harvesting his own grapes in 2004 and establishing the winery in 2006. They also have the honor of producing North Carolina’s first hard cider. Their ciders are a blend of hand-selected heirloom cider apples from orchards in the Blue Ridge mountains. 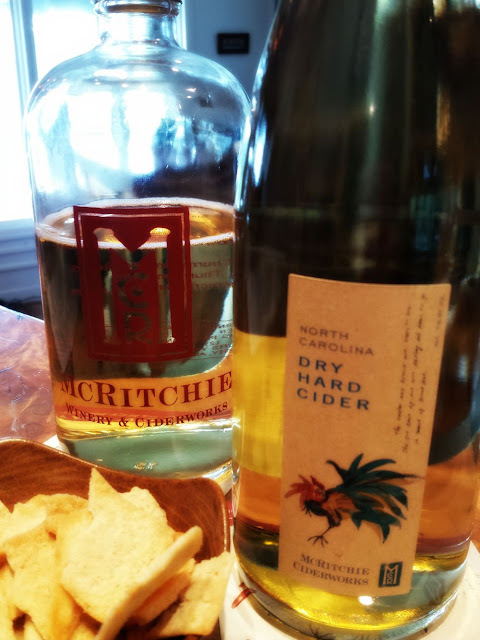 McRitchie produces both dry and off-dry ciders. 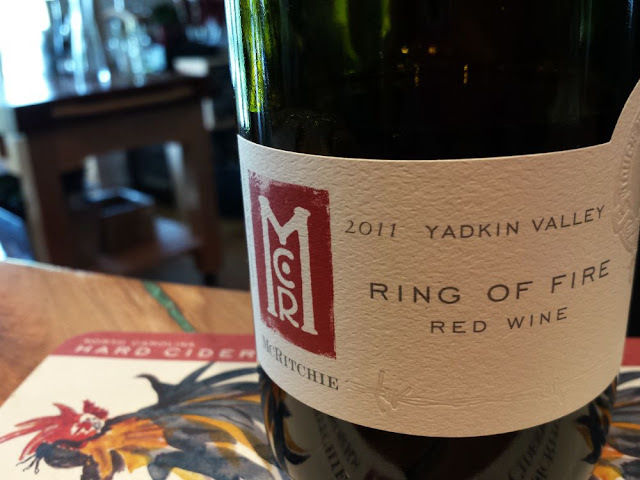 None of the wines produced at McRitchie is sweet wines. Winemaker Sean McRitchie is fond of using techniques found more often in France than in America. You are likely to find the vineyard’s Ring of Fire Red in specialty wine shops throughout North Carolina. This signature wine is a blend of Merlot, Syrah, and Petit Verdot. The wine’s name is in tribute to the man in black, Johnny Cash. The 2012 Pale Rider Dry Rose, made with Sangiovese grapes became the absolute favorite wine of the entire trip for my friend, Michelle. McRitchie Winery and Ciderworks is located at 315 Thurmond PO Road in Thurmond, N.C.
Jones von Drehle Vineyards and Winery is a family affair owned by two sisters and their husbands. It’s one of the newer wineries in the area and already, it has impressed some of North Carolina’s best Sommeliers. Jones von Drehle wines can be found on the wine list at some of the best luxury hotels and restaurants in North Carolina. 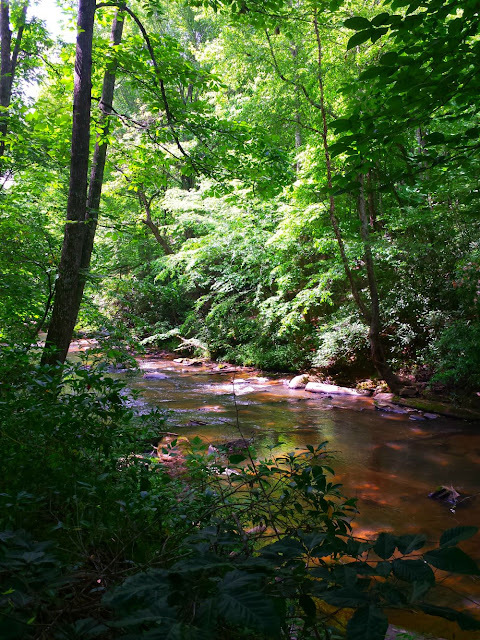 Chuck and Diana Jones and Raymond and Ronnie von Drehle bought 65 acres of former pastures and woodlands in the Blue Ridge foothills in 2007, and that’s where the dream came to fruition. The winery opened in 2012. Jones von Drehle, located in the area of Thurmond in Surry County, is only a few miles away from McRitchie Winery and Ciderworks. 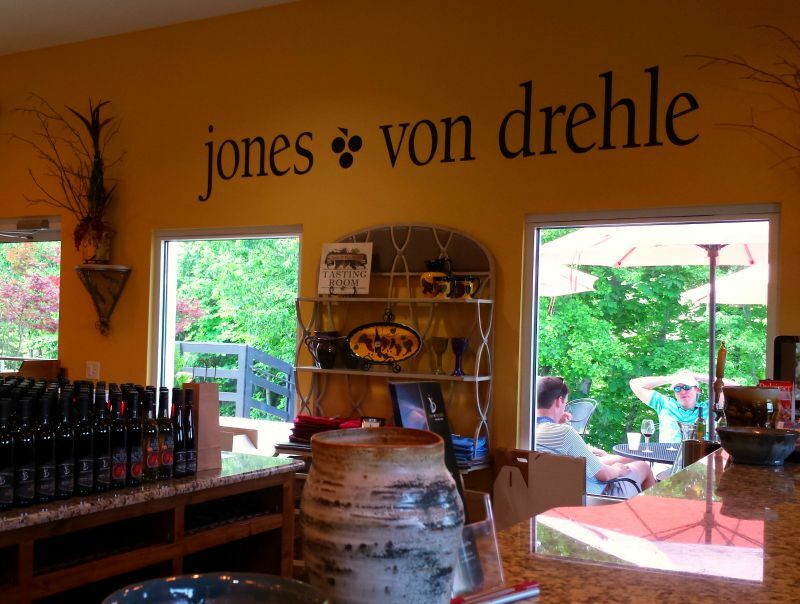 Jones von Drehle was our last stop of the day after a wine tour day that started at 10 a.m. I really want to go back again and make this winery my first stop because after tasting about 20 other wines during the day, everything starts to be a blur for a non-wine expert, like me. We met with winemaker Dan Tallman for a quick tour. We visited on Saturday at the end of May, and on Tuesday, the Jones von Drehle team were going to start bottling more wines that were ready for consumption. Dan led us to a room where wine glasses, half-full with wine ready for bottling, were being studied. It made me realize that winemaking is both a science and an art, which Jones von Drehle has mastered beautifully. Favorite wines of mine were the 2012 Chardonnay Steel, the Rock and Rail Estate Red, the 2012 Tempranillo, and the 2013 Viognier. 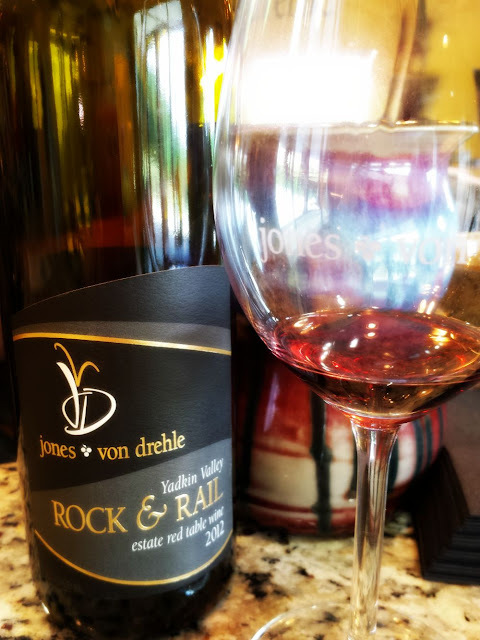 Jones von Drehle is located at 964 Old Railroad Grade Road. 222 Public House in downtown Elkin is a fabulous casual eatery in a sports bar atmosphere. 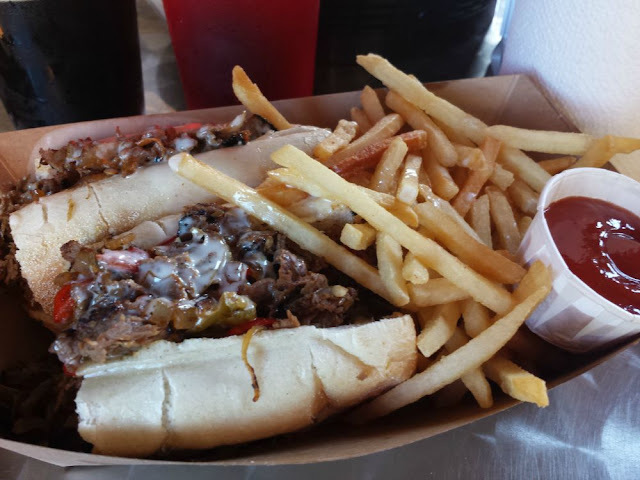 The Philly cheese steak sandwich and the hand-cut fries were excellent. 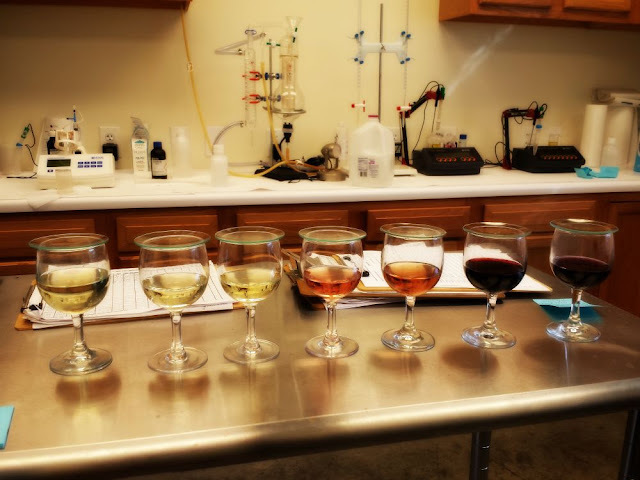 Despite being in the Yadkin Valley Wine Region, wine takes a backseat to craft beer here and very few local wines are even on the menu, if at all. The craft beer menu is solid, though. On Sunday, Michelle and I visited our final winery for the weekend after we checked out of the Fairfield Inn and Suites. 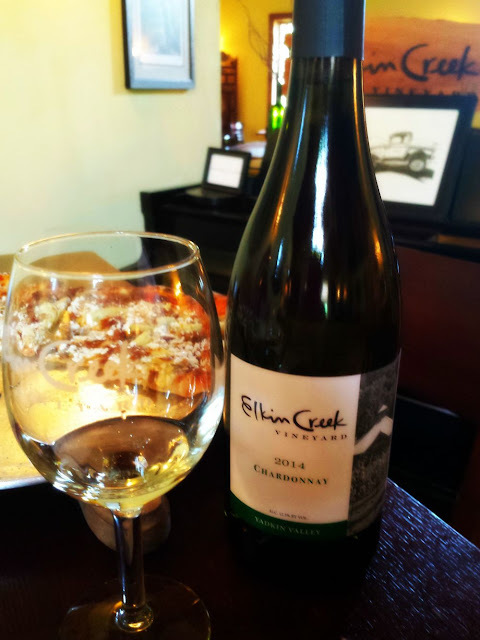 Elkin Creek Vineyard was only a few miles away from the hotel and is the perfect place to relax. The vineyard is built around a historic grist mill built in 1896. One of the vineyard owners calls the mill home now, but they do share their tranquil creek with guests. Elkin Creek Vineyard has four luxury cabins on property with full kitchens available for rent. 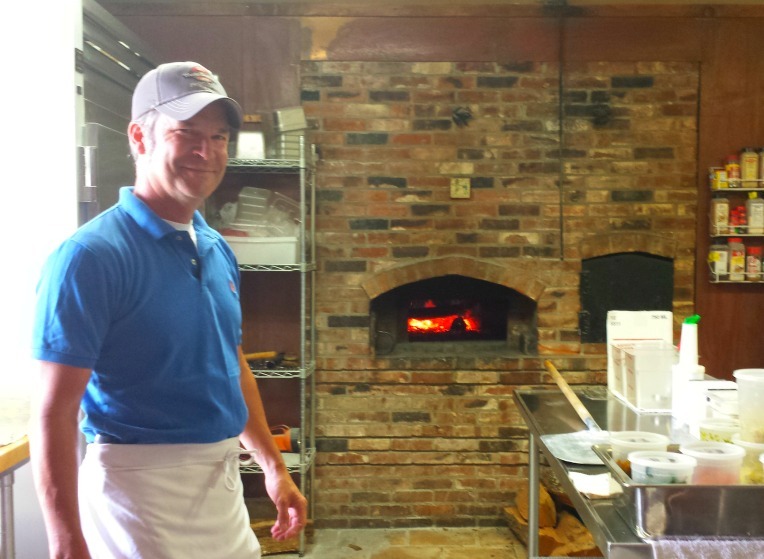 Sunday is a special day at the winery because the Elkin Creek kitchen is open for brick-oven pizzas and its famous artisan sourdough bread. 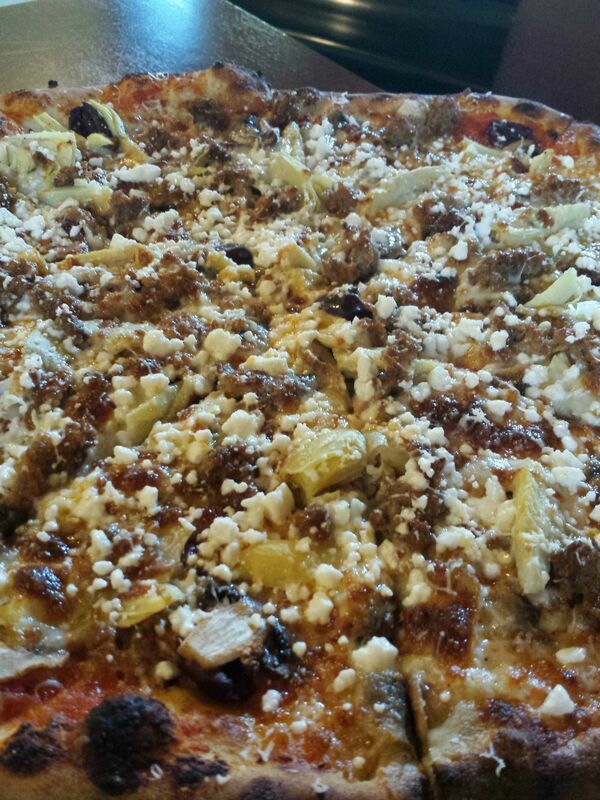 Because of N.C. laws, the wine can’t flow before noon on Sunday, but the fire is hot in the brick oven for serving pizza as early as 11 a.m. The story behind this vineyard is interesting. Two couples, who experienced the glitz and glam of Las Vegas, decided to leave their professional jobs working for the show “Blue Man Group” and live a more quiet life in rural North Carolina. They bought the vineyard in 2011 from its original owner. 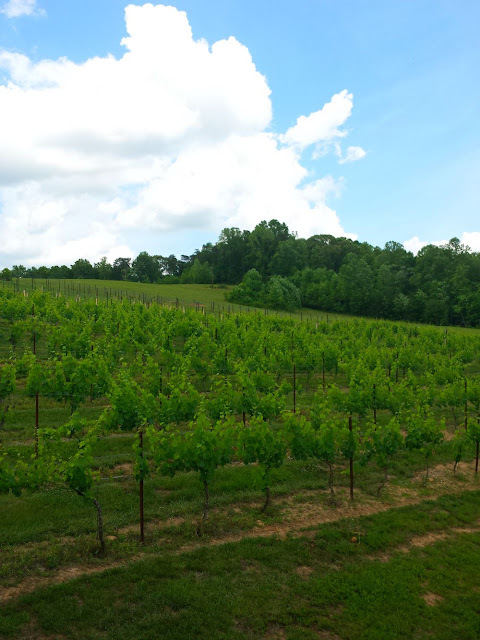 The focus at Elkin Creek Vineyard is on small-batches of hand-crafted wines. I had a fresh palate here since it was my only winery for the day, and I loved every single wine I tasted. The 2014 Chardonnay really grabbed my attention, and I bought two bottles to take home. Those bottles are long-gone in my house now, and all I can think about is when I can go back to the winery and get more. 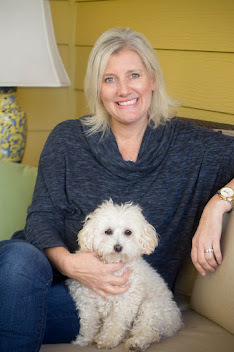 With a background in entertainment and the arts, the owners at Elkin Creek Vineyard are definitely taking on the role as an advocate for the arts, especially for children.There are many fun family-friendly events scheduled throughout the year. 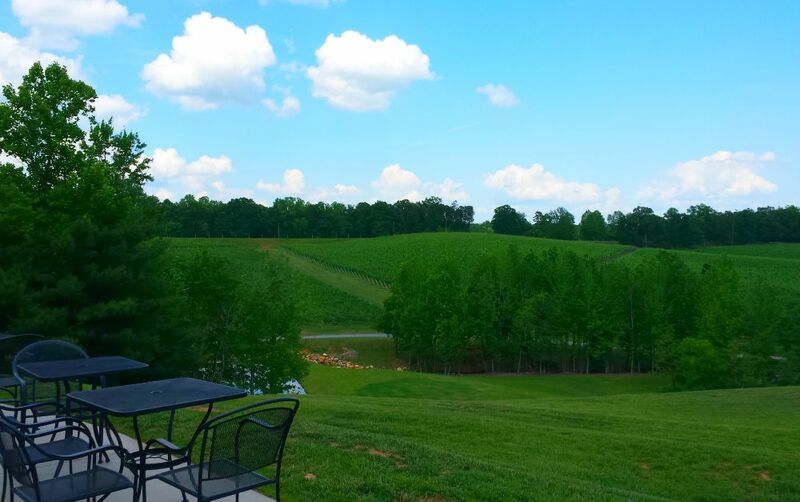 Elkin Creek Vineyard is located at 318 Elkin Creek Mill Road. Michelle and I had a fantastic time on this getaway. My advice on a trip for this area is to plan to stay several days, and visit one or two wineries a day. It makes a great girlfriend's getaway, couple's getaway or even a good vacation with families. You can easily combine the trip with outdoor adventure, too. Pilot Mountain and Stone Mountain State Park are nearby to explore. The Yadkin River runs through Surry County, and is great for outdoor adventures that you can book with Yadkin River Adventures. The area is also home to Mt. Airy, which is also known as “Mayberry.” Mt. Airy is such a nostalgic and charming place to explore, especially if you grew up watching the “Andy Griffith Show.” Surry County is also located near the Primland Resort in Virginia, which is an outdoor adventure destination all of its own. Fairfield Inn and Suites in Elkin, N.C.
My thanks to Surry County Tourism for partnering with me on curating this special Yadkin Valley Wine Trip. Some expenses were my own and as always, so are my opinions. How to Grill the Perfect Spiral-Cut Hot Dog!